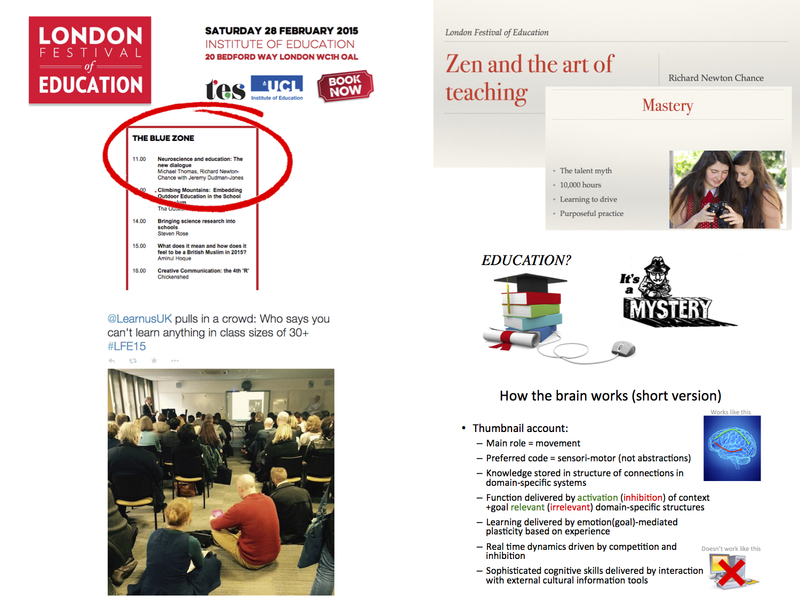 Learnus and the CEN ran a stimulating session on ‘Neuroscience and Education: The new dialogue’ at the recent London Festival for Education. Richard Newton-Chance, Jeremy Dudman-Jones and Michael Thomas spoken to an audience packed to the rafters, on the exciting times ahead for educators and neuroscientists alike. 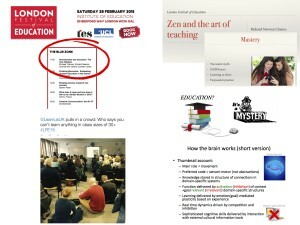 The subsequent discussion was passionate, with some embracing the idea that the new learning sciences had much to offer education, others keen to reject neuroscience as fostering ‘reductionism and determinism’ (‘Not true!’ cried MT), and others with specific questions about current knowledge of the effects of training working memory.